Stay feeling and smelling fresh all day with this deodorant which offers 24hr maximum protection. This roll on deodorant smells of fresh organic peppermint and organic lemongrass, with a hint of sweetness. Combining these ingredients with additional ingredients which have antibacterial properties means this deodorant efficiently deodorises body odour. It’s delicate to skin, doesn’t clog pores and allows skin to breath. This deodorant excludes aluminium salts, parabens and phthalates. Directions: Roll onto clean, dry underarm skin. This deodorant can also be applied to other areas of the body where sweat may build up such as under breasts, in the crooks of your arms or behind the knee. Water (Aqua), Alcohol*, Triethyl Citrate, Fragrance (Parfum)**, Zinc PCA, Zinc Ricinoleate, Xanthan Gum, Glycerin, Mentha Piperita (Peppermint) Water*, Cymbopogon Flexuosus Extract*, Salvia Officinalis (Sage) Leaf Water*, Menthol, Limonene**, Linalool**, Geraniol**, Benzyl Salicylate**, Citral**, Citronellol**, Eugenol**, Benzyl Alcohol**, Coumarin** * Ingredients from Certified Organic Agriculture ** Natural Essential Oils *** Fair Trade. 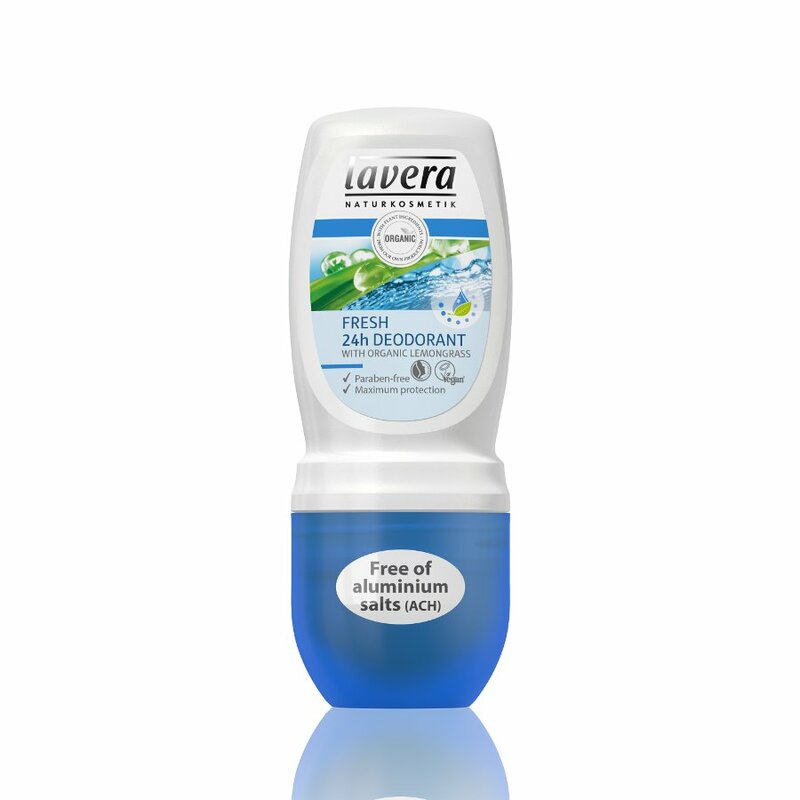 The Lavera Roll on Deodorant - Fresh - 50ml product ethics are indicated below. To learn more about these product ethics and to see related products, follow the links below. 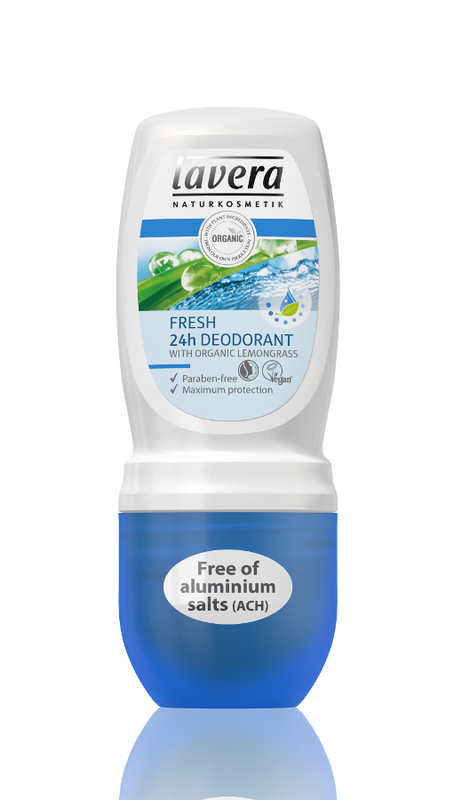 There are currently no questions to display about Lavera Roll on Deodorant - Fresh - 50ml.